BERLIN (AP) ― The head of the United Nations scientific panel on climate change urged diplomats and scientists to show “enlightenment” Monday, as they began a weeklong meeting aimed at spelling out in plain terms what options the world has if it wants to prevent catastrophic global warming. 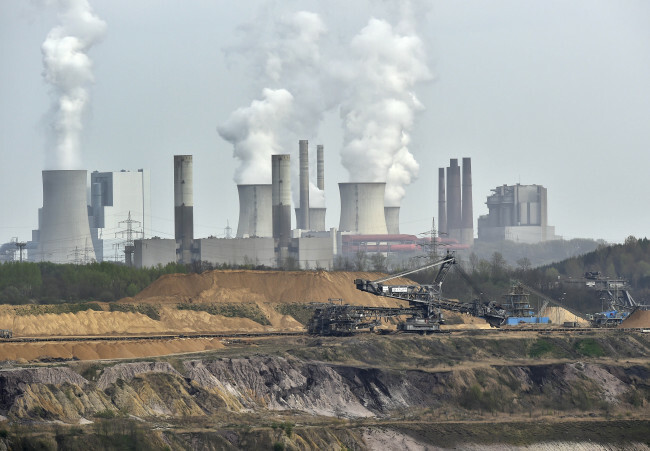 Delegates at the closed-doors meeting in Berlin need to tackle a number of sensitive issues, including how best to cut carbon emissions and how to share the cost of shifting away from the fossil fuels that are largely blamed for producing the gases that are heating the planet. Their conclusions will feed into a landmark assessment report that will form the basis of negotiations for future climate treaties. Experts say that in order to keep global temperature increases below 2 degrees Celsius by the end of the century, greenhouse gas emissions will have to be cut by 40 percent to 70 percent by 2050. But there are sharp differences between nations over how to achieve this and who will pay for it. Even the language used to describe the billions of dollars that need to be pumped into climate mitigation efforts has become political, with environmental campaigners favoring the term ‘investment’ to reflect the long-term return they say can be achieved by switching to clean energy sources. “Talking about costs is toxic because you don’t look at the benefits,” said Jan Kowalzig, a climate policy expert at the campaign group, Oxfam. A new report released Monday showed that renewable energy, excluding large hydropower plants, increased its share of overall power generation worldwide from 7.8 percent in 2012 to 8.5 percent last year. Since 2006, some $1.5 trillion has been invested in renewable energy. But uncertainty about future global energy policy ― as well as declining cost of solar power systems ― meant the total amount invested in renewables fell by $35.1 billion to $214.4 billion, according to the Global Trends in Renewable Energy Investment report released by the U.N. Environment Program.